Ornamental trees are defined as trees that grow less than 25 feet tall and have showy and interesting foliage, flowers, bark and form. 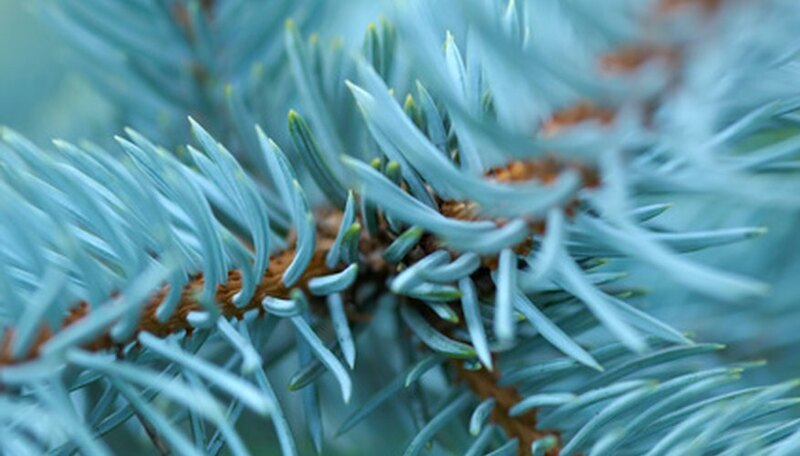 Many ornamental trees are also evergreen, meaning they retain their color all year long. This feature, coupled with their striking branches and unusual sizes and shapes, makes the ornamental evergreen tree a gardening favorite. The dwarf sitka spruce in an ornamental evergreen with showy foliage. Its rounded form is striking, and it has small puffball-like tips. The rounding branches have a bluish-silver color on one side with a solid green on the other. Dwarf sitka spruce trees grow between 3 to 6 feet tall and has new growth that is very soft. These hardy ornamental trees are ideal tucked into a container or grown among a perennial bed for their unexpected texture and form. Dwarf sitka spruce trees prefer full sun to part shade and deep, well-drained, moist soil that is acidic to neutral. Dwarf sitka spruce trees provide color in the winter months when most other plants have died down. The USDA hardiness zone is 7 to 8. The eastern arborvitae is a moderate growing evergreen tree with a clumping growth habit. This showy ornamental grows between 6 and 10 feet tall and 3 to 6 feet wide, ideal for planting in rows as a hedgerow or privacy screen. Eastern arborvitae has a compact, pyramidal shape that retains its bright, glossy green leaves all year long. This hardy plant tolerates humid weather, well-drained soil and a wide range of soil types. Eastern arborvitae prefers full sun to partial shade and a medium amount of moisture. If grown in full shade, the eastern arborvitae's foliage will become less dense. Prune in early spring before new growth emerges. The USDA hardiness zone is 2 to 7. The white cedar is an evergreen tree with a moderate growth rate and showy foliage. This ornamental tree grows up to 10 feet tall and wide, ideal for creating privacy along the home. Its scale-like leaves are flat and soft with a bluish-green tint. In the winter, the juvenile white cedar has foliage that turns to a deep plum and bronze color. As they mature, the foliage remains its vibrant color all year long. White cedar trees prefer well-drained, moist and sandy soils that are neutral to acidic. They also prefer full sun to partial shade and are ideal planted along a front walkway as a striking focal point to the landscape. The USDA hardiness zone is 3 to 8.